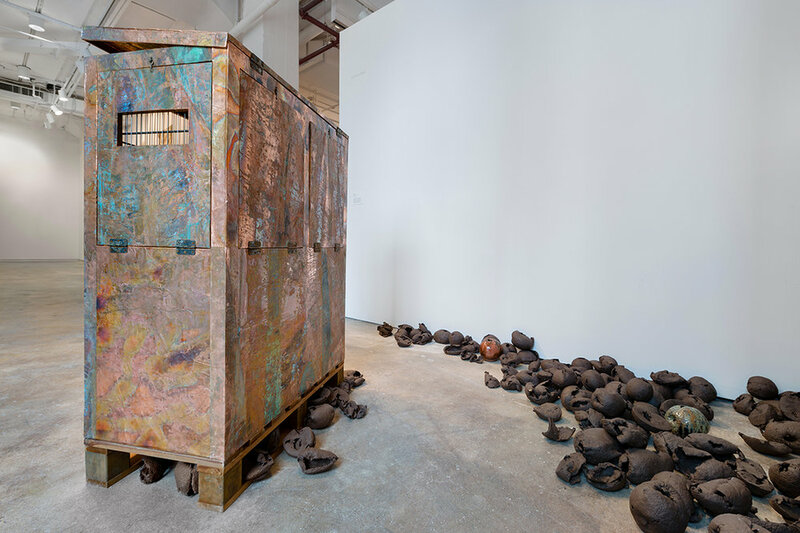 Image: Rachelle Dang, installation of Botanical Cage and Perimeter Wall, 205 Hudson Gallery, New York, NY, 2018. Courtesy of the artist. Photo: Etienne Frossard. Image: Rachelle Dang, detail of Botanical Cage and Perimeter Wall, 205 Hudson Gallery, New York, NY, 2018. Courtesy of the artist. Photo: Zorawar Sidhu. In Botanical Cage and Perimeter Wall, I recreated an 18th century shipping carrier designed to transport breadfruit saplings from Tahiti to England on long sea voyages. This project of imperial botany had the end goal of cultivating breadfruit in the Caribbean to relieve environmental catastrophe and famine from monocropping sugar. My rebuilt cabinet appears as an embellished prison or cage, sheathed in copper with wired grills. 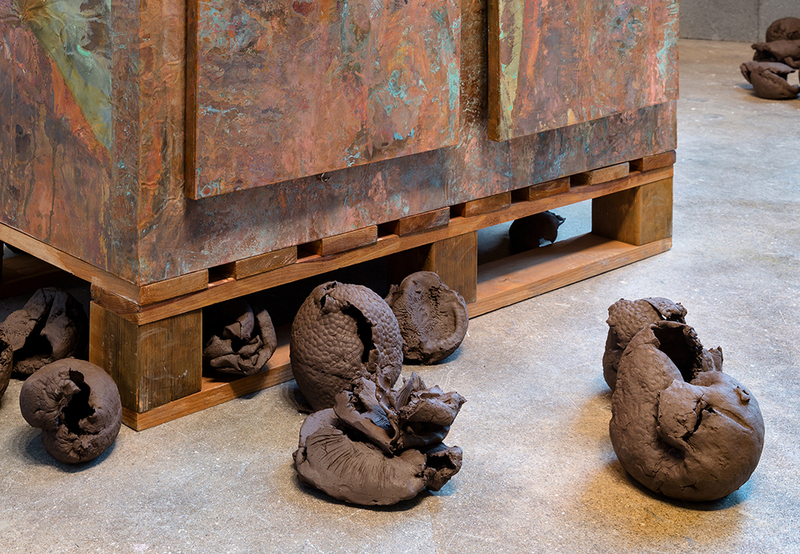 I wanted to use materiality and the relationship to the body to provoke expanded readings about violence, slavery and labor, and the ecological legacies of colonialism in both the Pacific and the Caribbean. The cast and manipulated breadfruit forms appear at different stages of ripeness, decay, or rot; they convey ideas of consumption, waste, and ecological processes.